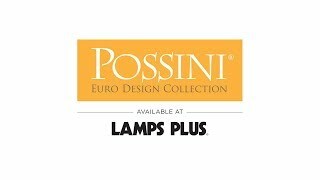 An energy-efficient LED task floor lamp in chrome from Possini Euro Design. Focus light precisely where you need it with this ultra modern adjustable LED task floor lamp. 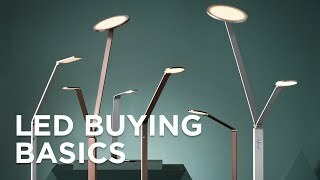 The lamp features an articulated arm that allows you to position the ring light exactly how you want it, whether it's next to a reading chair or a work surface. The sleek contemporary design features a clean chrome finish. Adjustable to 59" high overall: fixed post is 37" high, plus one 10" segment and one 15" segment and 5" wide shade. Lamp head is 5" round x 3/4" high. Base is 7 1/2" wide x 6" deep x 3/4" high. 7 watt built-in LED. 630 lumens. 3000K color temperature. On-off toggle switch on column. Energy-efficient LED task floor lamp for reading or other activities.